A Victorian cottage had been stylishly modernised by the owners and needed the theme to be continued outdoors. A hardwood balcony replaced an existing structure, and a covered hardwood and Perspex roof really increases the usability of the space. 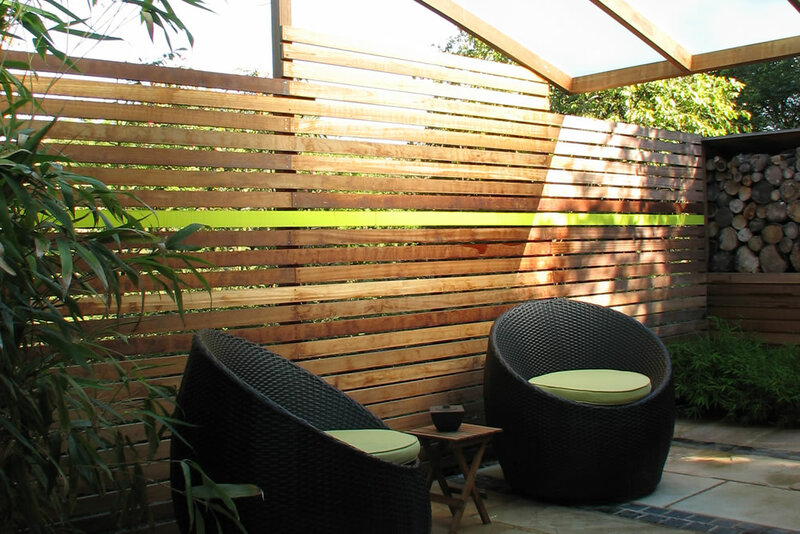 A linear hardwood fence makes the space feel bigger and the splash of lime green brings energy. 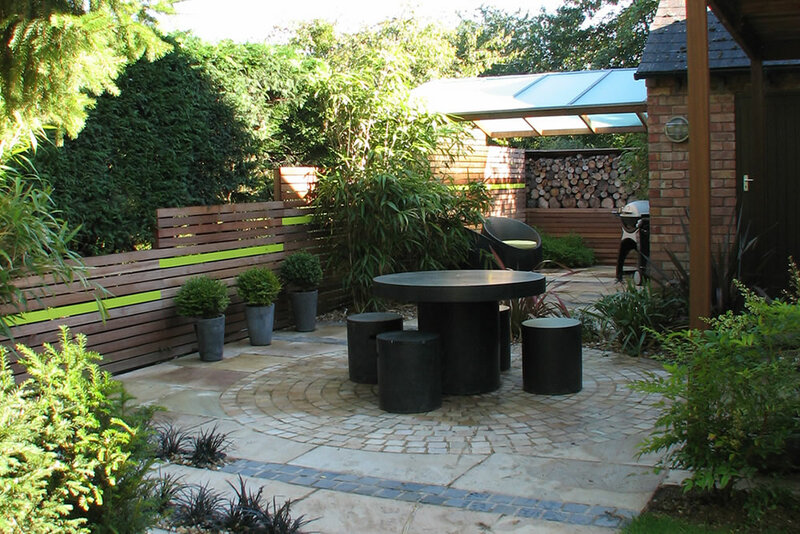 Log storage also provides a feature wall on one side, with recycling and bins hidden away on the other. 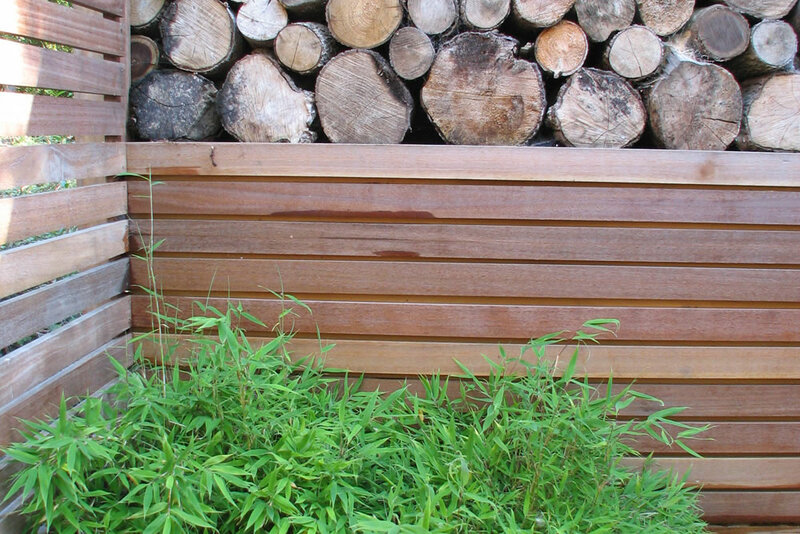 Balau hardwood was used for all the timber structures, for is durability and rich colours. Sandstone paving and setts are enhanced by strips of black limestone. Pseudosassa japonica bamboos give height and separation. 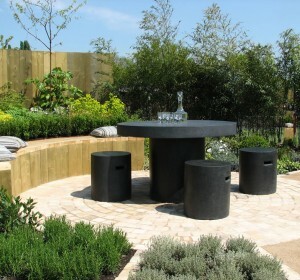 Black ophiopogon grasses blend with the black limestone detail, and a yew hedge separates the garden.